I’ve tried EVERYTHING but I kept coming back to this. It’s not my fault, guys. It’s literally written in my stars to have expensive taste, says my astrologer. Caviar taste translates to $105 rose-infused oils (they really do work though! ), $120 candles (you get what you pay for – they last forever!) and $17 nail polish removers (normal ones have tons of toxins in them!). While I really appreciate well-made things, even I cannot deny that the greatest makeup remover I’ve ever tried is $1.27. Let me backtrack and explain. I have mascara woes, so I sometimes use this intense Japanese waterproof mascara which, and I feel like I’m not exaggerating here, takes hours to remove. I’ve tried every single makeup remover on the market from oils to creams to wipes – most either irritate the skin around the eyes, or my eyes, or don’t remove my eye makeup. 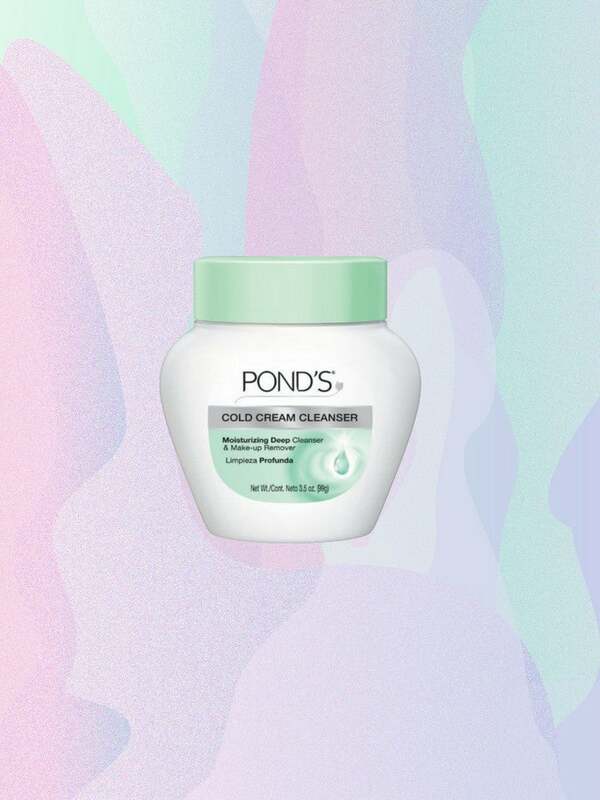 So I looked inside my bathroom cabinet sink – specifically at my cost-conscious roommate’s Ponds Cold Cream. I tried it once out of complete frustration after letting a Korean cleanser sit for 10 minutes in a hot shower without successful mascara removal. I rubbed the cold cream in a few seconds, let it sit for a minute and washed away. I looked in the mirror and voila. Gone. Just like that, without any effort. It’s still to this day the most successful eye makeup remover I’ve ever encountered. No irritation. No rubbing. No effort. $1.27. My caviar taste can’t deny the facts.